SOURCE: Phillips Service Industries, Inc.
CHICAGO, IL--(Marketwired - December 13, 2016) - Sciaky, Inc., a subsidiary of Phillips Service Industries, Inc. (PSI), and leading provider of metal additive manufacturing (AM) solutions, announced today that Airbus will take delivery of a state-of-the-art Electron Beam Additive Manufacturing (EBAM™) 110 System in December 2016. The renowned aircraft manufacturer will utilize Sciaky's industrial-scale metal 3D printing system to produce large structural parts made of titanium. Sciaky's EBAM process combines computer-aided design (CAD), additive manufacturing processing principles, and an electron beam heat source. Starting with a 3D model from a CAD program, Sciaky's fully-articulated, moving electron beam gun deposits metal via wire feedstock, layer by layer, until the part reaches near-net shape. 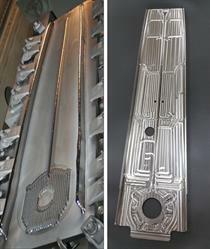 From there, the near-net shape part requires heat treatment and post-production machining. In the end, there is minimal material waste. Sciaky brings quality and control together in one step with IRISS™ - the Interlayer Real-time Imaging and Sensing System. IRISS is the only real-time monitoring and control system in the metal 3D printing market that can sense and digitally self-adjust metal deposition with precision and repeatability. This closed-loop control is the primary reason that Sciaky's EBAM 3D printing process delivers consistent part geometry, mechanical properties, microstructure, and metal chemistry, from the first part to the last. As mentioned above, EBAM utilizes wire feedstock, which can accommodate a wide variety of metals and refractory alloys, such as titanium, tantalum, niobium, tungsten, Inconel, and stainless steels. 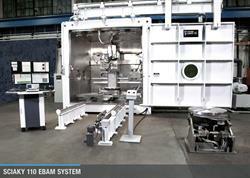 Sciaky's EBAM 110 System has a work envelope of 70" (1778 mm) x 47" (1194 mm) x 63" (1600 mm). "Sciaky is very proud to partner with a world-class innovator like Airbus," said Bob Phillips, Vice President of Marketing for Sciaky, Inc. "We all know that metal 3D printing technology is going to revolutionize manufacturing in the aerospace industry, and Sciaky is committed to being at the forefront of this movement." As the most widely scalable metal 3D printing solution in the industry in terms of work envelope, Sciaky's lineup of EBAM systems can produce parts ranging from 8 inches (203 mm) to 19 feet (5.79 meters) in length. EBAM is also the fastest deposition process in the metal additive manufacturing market, with gross deposition rates ranging from 7 to 20 lbs. (3.18 to 9.07 kg) of metal per hour. To learn more about Sciaky, visit www.sciaky.com. You can also follow Sciaky on Twitter, Facebook, Google+, YouTube and LinkedIn. For more information on Airbus, visit www.airbus.com. Sciaky, Inc., a subsidiary of Phillips Service Industries, is a world leader in metal 3D printing solutions. Our exclusive Electron Beam Additive Manufacturing (EBAM™) process is the fastest, most cost-effective 3D printing process in the market for large-scale metal parts, allowing manufacturers to save significant time and money over traditional manufacturing and rapid prototyping processes. Sciaky also provides industry-leading electron beam (EB) and advanced arc welding systems, as well as the most robust EB job shop welding services in the world, for the aerospace, defense, automotive, healthcare and other manufacturing industries. Our welding equipment meets rigid military specifications to manufacture items such as airframes, landing gear, jet engines, guided missiles and vehicle parts. Sciaky is a member of the Michigan Aerospace Manufacturers Association (MAMA). For more information on MAMA, visit www.MichMan.com. About this company Phillips Service Industries, Inc. This photo highlights two different stages of an Airbus rear upper spar that was 3D printed in titanium with Sciaky's EBAM process. The image on the left shows the part in an early preform stage. 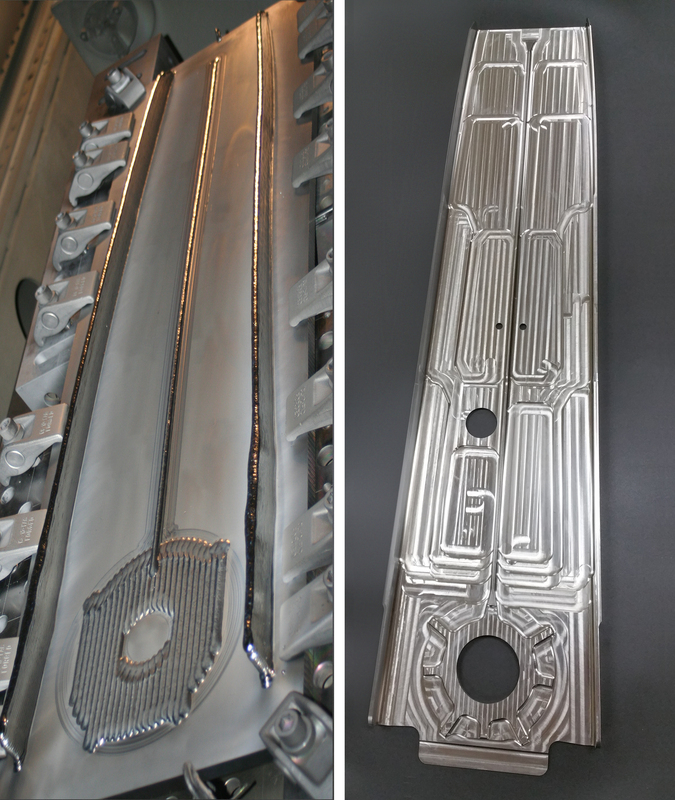 The image on the right shows the finished part. A Sciaky EBAM 110 System. A video of Sciaky EBAM at work.